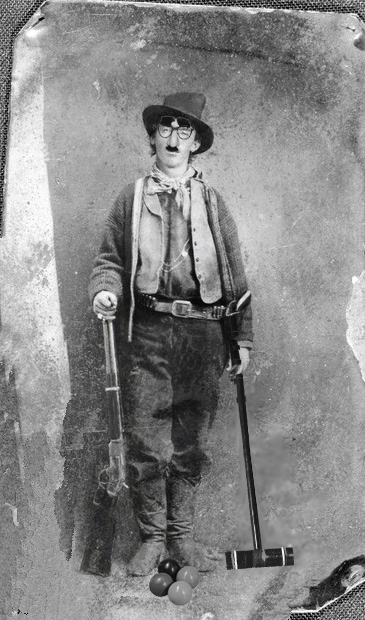 Some 135 years after his demise, Billy the Kid has made me a published poet, proving once again the long reach of the buck-toothed New Mexico outlaw. 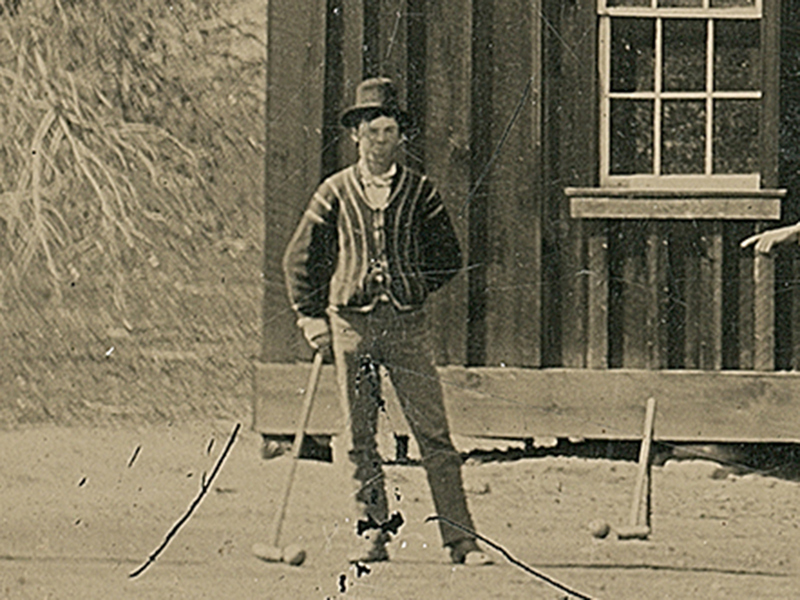 My trail to writing poetry began in October 2015 with a National Geographic documentary narrated by Kevin Costner and claiming to have found a new tintype of Billy playing croquet. 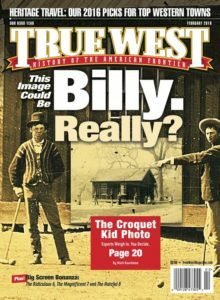 After reading True West’s case against the validity of the documentary’s conclusions, I decided the weight of evidence, including a lack of a clear provenance, was 99.99 percent against the sweater-clad croquet player actually being the Kid. Nice try but there have been several Billy the Kid imposters over the years, including most famously Brushy Bill Roberts of Hico, Texas. 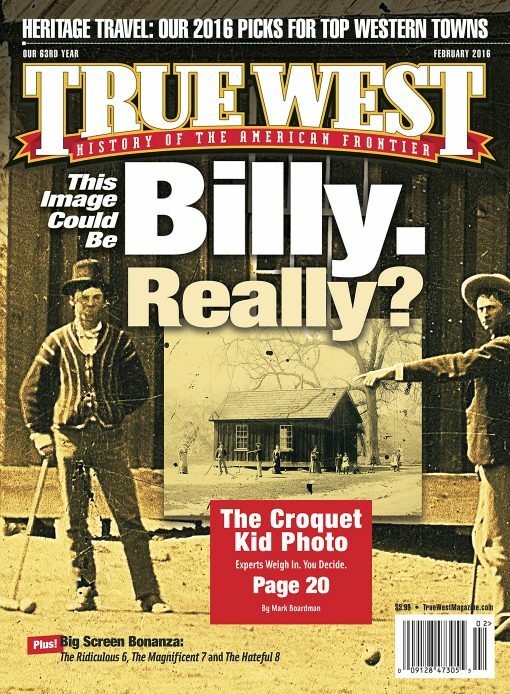 Then it hit me that perhaps both sides could be right, inspiring me to write “Billy the Kidder,” which appeared in the December issue of the Journal of the Wild West History Association. Billy was a Kidder, as everybody knows. He rode through Lincoln County, giving one-man shows. Audiences all loved him, every prank and joke. Stand-up was easier than being a cowpoke. Billy was a Kidder, you’ve got to understand. He honed his art and craft to tickle every fan. Billy was wanted for the humor he would do. ’Cause you could die of laughter from what Billy said. Met their Maker giggling at what Billy could do. Even doing weddings and occasional shindigs. Rather than working on tintype provenancing. Even finding time to play a little croquet. He out-shot his opponents, every one and all. And asked to make a tintype for posterity. 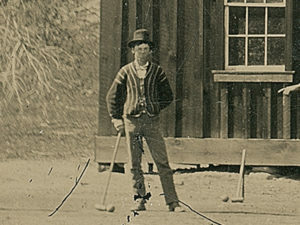 To a croquet photo destined for a pawn shop. So Kevin Costner voiced their documentary. Once on television, it must always be right. Those who think otherwise are certainly not bright. ’Cause Billy had a plan for fooling me and you. Billy used a stand-in by the name of Brushy Bill! After completing the poem, I began to look for a photo to accompany the piece. To my surprise, I miraculously stumbled across one locally at Ye Olde PhotoShoppe. Though I don’t have the provenance on it, it seems to me to be Billy and I am looking for a buyer.